Some parties might have planned to cover up the murder of Saudi journalist Jamal Khashoggi or sought to put the blame elsewhere, but Turkey made it impossible, the justice minister said Friday. 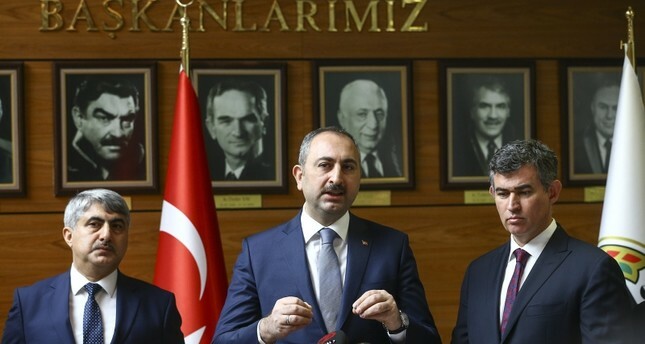 Abdülhamit Gül's remarks came following his meeting with the head of the Union of Turkish Bar Associations in Ankara. He said that Agnes Callamard, the U.N. special rapporteur, was fully informed about the brutal murder. "That Saudi Arabia doesn't favor an investigation and isn't open to cooperation surely prevents shedding light on this incident. I hope, this report [by the U.N.] will increase the international recognition level and contribute to exposing the perpetrators and instigators. Gül went on to say that Turkey was ready to share collected information with the international community and investigators. Khashoggi, a contributor to The Washington Post, was killed at the Saudi Consulate in Istanbul Oct. 2.